If there really are only seven original plots in the world, it's odd that “boy meets girl” is always mentioned, and “society goes bad and attacks the good guy” never is. Yet we have Fahrenheit 451 , The Giver , The House of the Scorpion —and now, following a long tradition of Brave New Worlds, The Hunger Games . Collins hasn't tied her future to a specific date, or weighted it down with too much finger wagging. Rather less 1984 and rather more Death Race 2000 , hers is a gripping story set in a postapocalyptic world where a replacement for the United States demands a tribute from each of its territories: two children to be used as gladiators in a televised fight to the death. 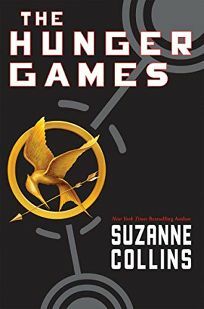 Katniss, from what was once Appalachia, offers to take the place of her sister in the Hunger Games, but after this ultimate sacrifice, she is entirely focused on survival at any cost. It is her teammate, Peeta, who recognizes the importance of holding on to one's humanity in such inhuman circumstances. It's a credit to Collins's skill at characterization that Katniss, like a new Theseus, is cold, calculating and still likable. She has the attributes to be a winner, where Peeta has the grace to be a good loser. It's no accident that these games are presented as pop culture. Every generation projects its fear: runaway science, communism, overpopulation, nuclear wars and, now, reality TV. The State of Panem—which needs to keep its tributaries subdued and its citizens complacent—may have created the Games, but mindless television is the real danger, the means by which society pacifies its citizens and punishes those who fail to conform. Will its connection to reality TV, ubiquitous today, date the book? It might, but for now, it makes this the right book at the right time. What happens if we choose entertainment over humanity? In Collins's world, we'll be obsessed with grooming, we'll talk funny, and all our sentences will end with the same rise as questions. When Katniss is sent to stylists to be made more telegenic before she competes, she stands naked in front of them, strangely unembarrassed. “They're so unlike people that I'm no more self-conscious than if a trio of oddly colored birds were pecking around my feet,” she thinks. In order not to hate these creatures who are sending her to her death, she imagines them as pets. It isn't just the contestants who risk the loss of their humanity. It is all who watch. Katniss struggles to win not only the Games but the inherent contest for audience approval. Because this is the first book in a series, not everything is resolved, and what is left unanswered is the central question. Has she sacrificed too much? We know what she has given up to survive, but not whether the price was too high. Readers will wait eagerly to learn more. Megan Whalen Turner is the author of the Newbery Honor book The Thief and its sequels, The Queen of Attolia and The King of Attolia. The next book in the series will be published by Greenwillow in 2010.